Carbon Air Candy Girths are innovative candy-shaped girths designed to defend the horse's abdominal area when show jumping. They are composed of an external TPU structure with differentiated thickness and carbon fiber elements, making them simultaneously lighter and more durable. 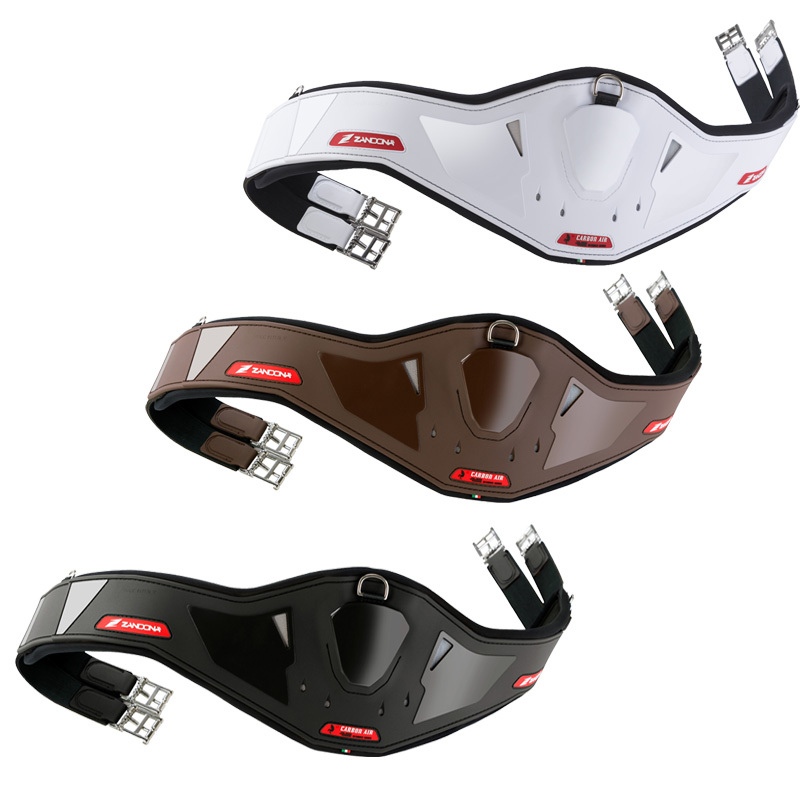 6 air vents/intakes in the central mask ensure breathability. Secure fastening is achieved via a locking system buckle, which can be adjusted even when sitting on the horse. It is also equipped with a (removable) ring for fastening carabiners. Designed and manufactured in Italy, the size and ergonomic shape have been developed perfectly to follow the body of the horse.